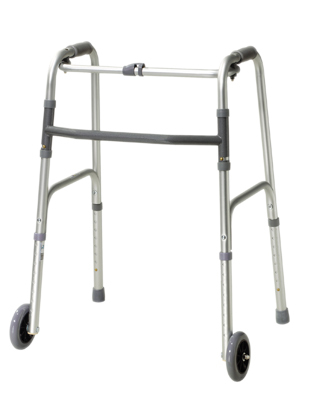 Press the buttons to fold the walker for easy transportation or storage. Available with rubber tips or front wheels and rear glider tips. Height adjustable: adult 32-39"; junior 25-32"; oversize 32-39".